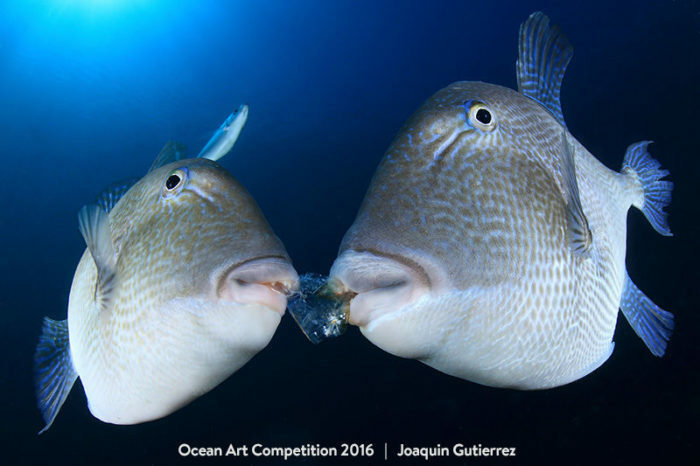 While 2016 has already passed, these underwater masterpieces continue to surprise with their professionalism and creativity. 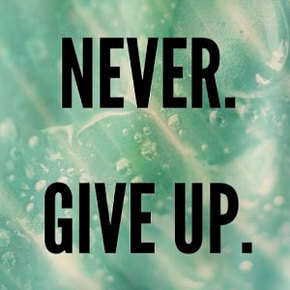 For those who do scuba diving regularly, these photos would seem like a reminder of the perfect dives. 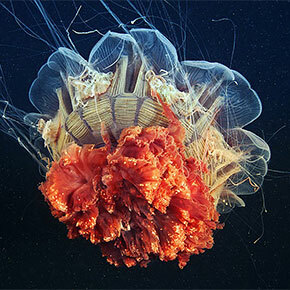 But for those who have never seen the underwater world, these photos would uncover the amazing reality of the hidden life. 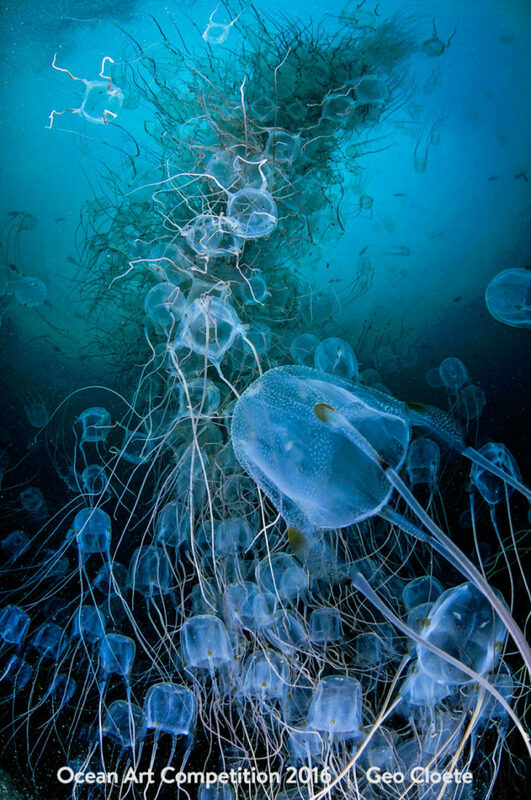 These are photographs from world famous underwater photographers whose aim is to show the beauty and mystery of the underwater creatures. 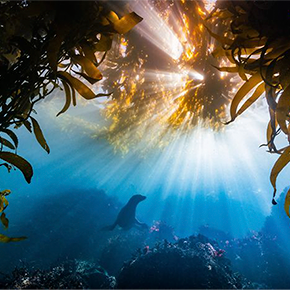 If you’d like to become a part of this world, don’t hesitate to take photography classes to learn the mastership of underwater photography. If you’re just the admirer, you can find the original story can be found here and learn some more facts about the underwater world. 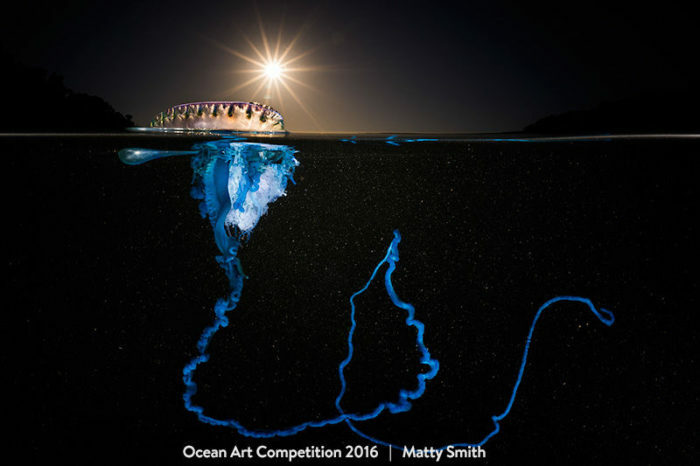 This is the Pacific Man of War jellyfish shot by Matty Smith. 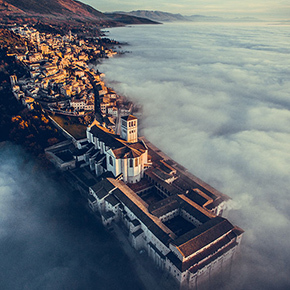 The winner of the Wide Angle category. 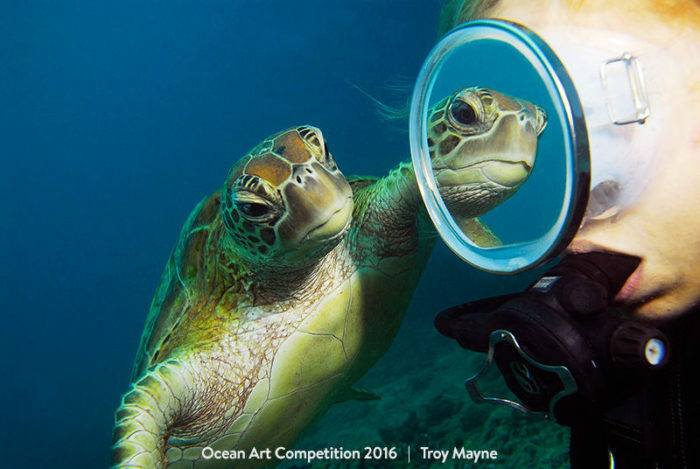 This photo of a turtle and a human was taken by Troy Mayne at the Great Barrier Rief. The third place of the category Wide Angle. 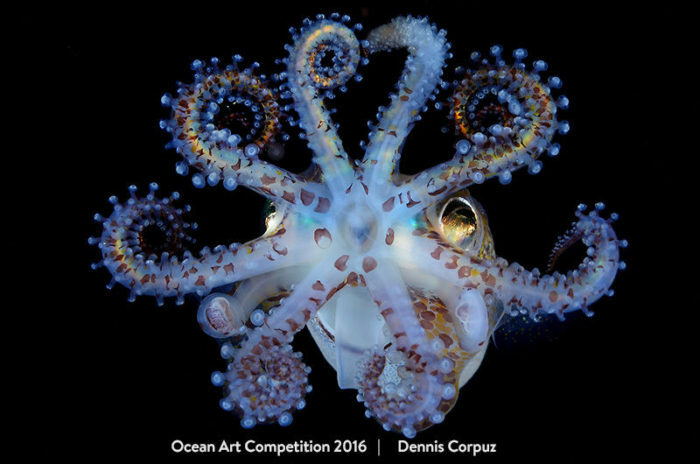 Dennis Corpuz took a photo of a bobtail squid a won the category of Macro. 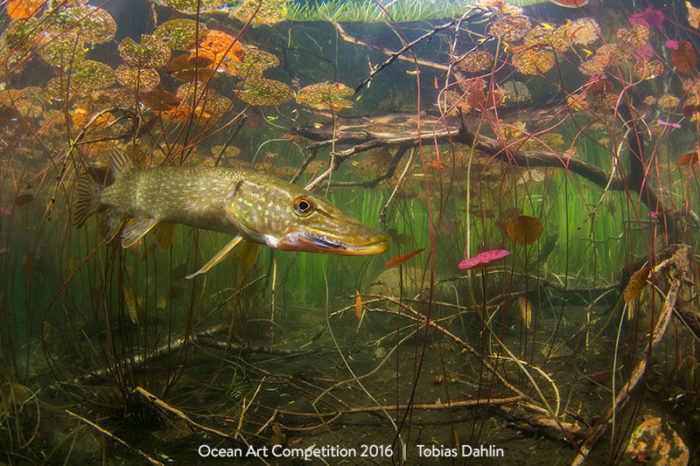 Tobias Dahlin managed to become friends with this pike who are usually camera-shy. 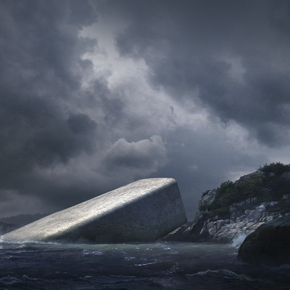 This is the winner photo at the Cold Water category. 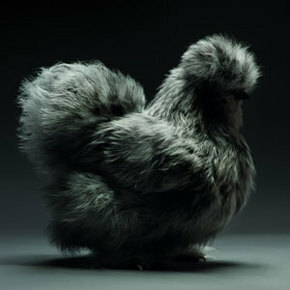 A jelatinuous snack shared by two roosters brought the first place in the Portrait category to Joaquin Gutierrez. 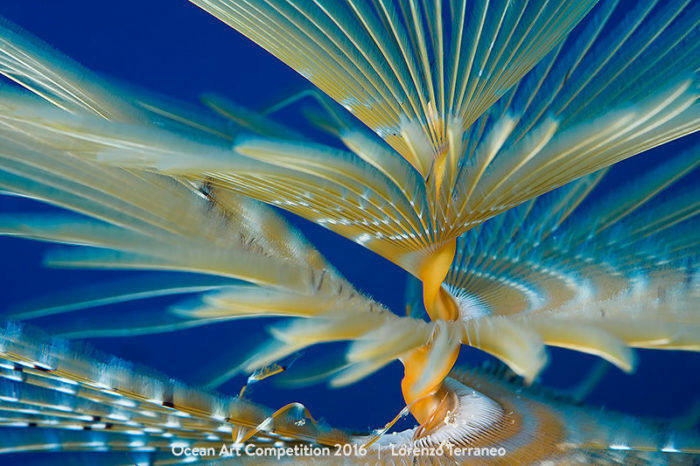 Geo Cloete won first place in the Marine Life Behavior category with the help of amazing swarm of Box Jellyfish. 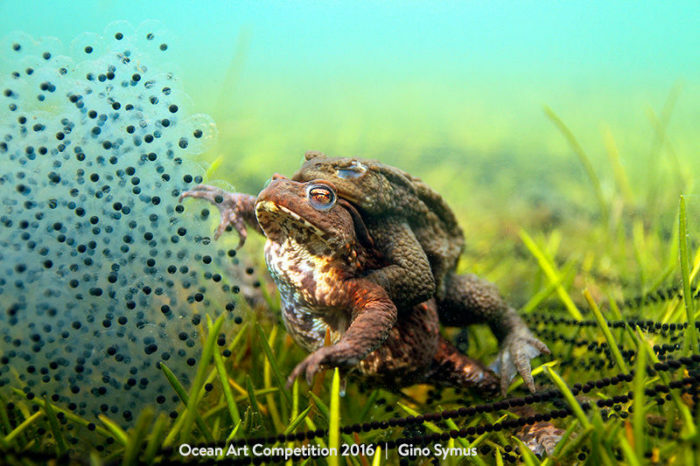 Gino Symus photographed the zen connection of two toads and a hundred of their small babies to win second place in the Marine Life Behavior category. 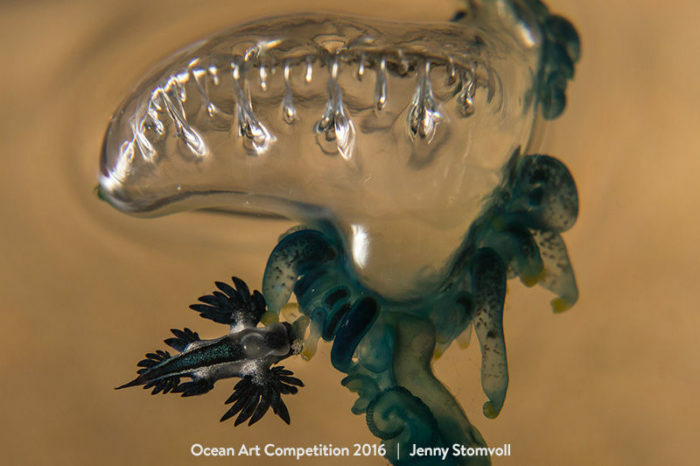 This beautiful Portuguese Man-O-War jellyfish is almost as toxic as cobra venom. 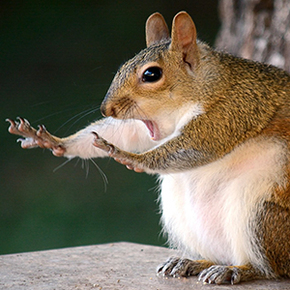 Jenny Stomvoll caught the moment before the prey was killed and won the first place in the Mirrorless Behavior category. 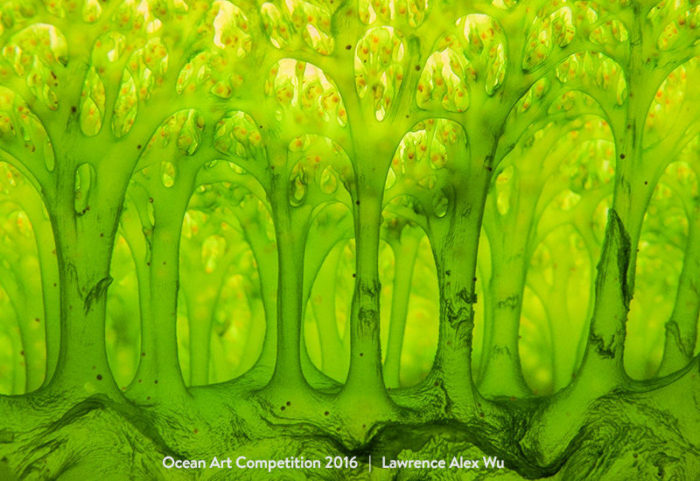 Lawrence Alex Wu with his Olympic camera won the first prize in the Macro category with a 2 sm forest picture. While it does look like a forest, in reality it’s the body structure of a common sea squirt. These deep sea nudibranchs truly look like another kind of pokemon from the cartoon. 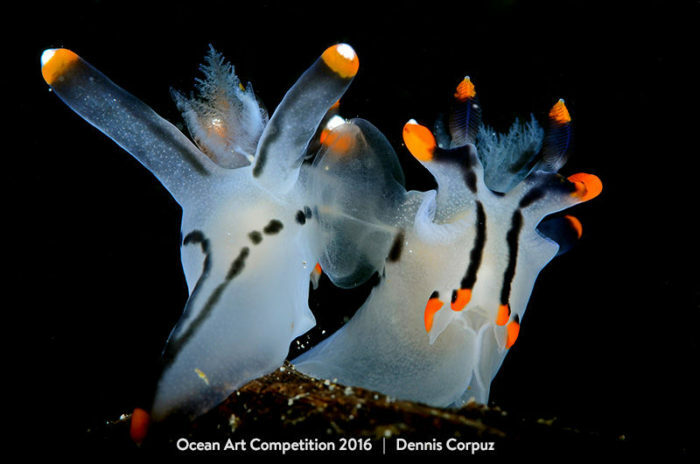 With this shot Dennis Corpu won the fourth place in the Nudibranchs category. This is display of cooperative parenting by Red Irish Lord fish from British Columbia. 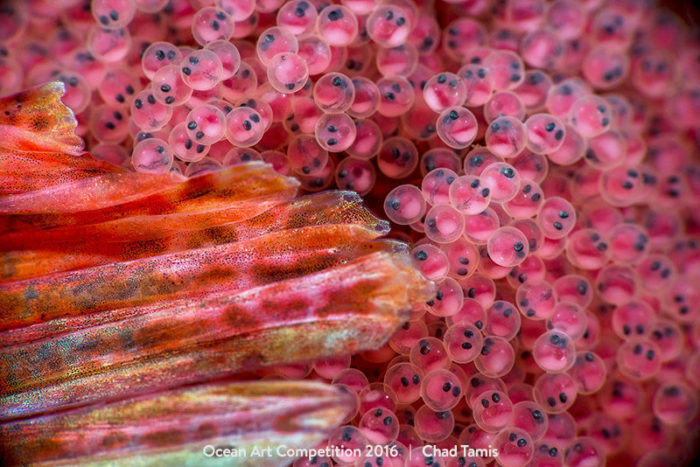 This shot by Chad Tamis won the first place in the Supermacro category. A native of Northern Queensland, Eva the turtle loves posing to underwater cameras. 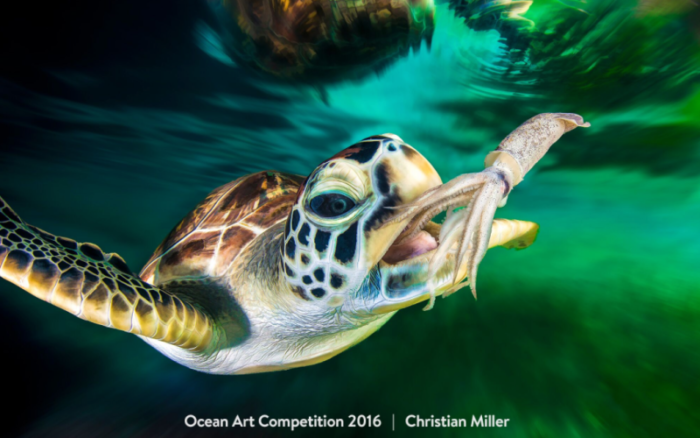 The photogenic model and a little calamari helped Christian Miller win the first place in the Pool-Conceptual category.